After another amazing flight with Pilot Marty, I arrived in Nome. We flew out of Unalakleet with blue sky and panorama for miles and miles. The camera does not do the beauty of the land justice. 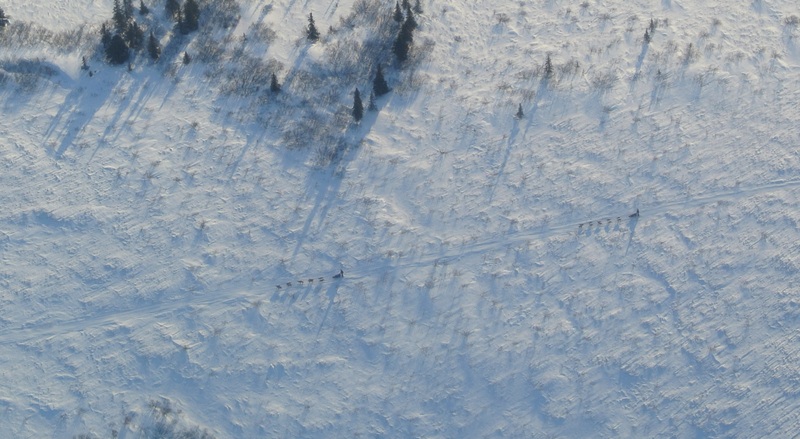 There were a few teams on the Iditarod Trail as they left the Unalakleet checkpoint on their way to Shaktoolik. It’s hard for me to imagine living in small, remote villages along the coast, but we flew over a few. 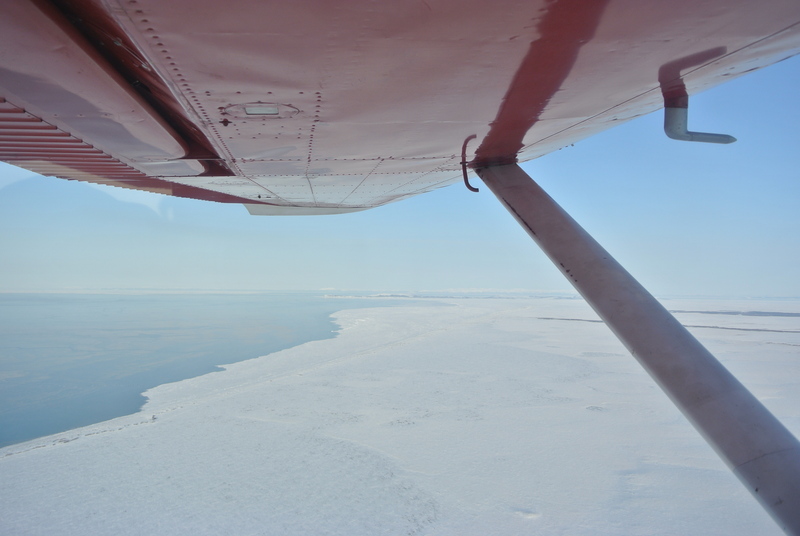 I was able to see by air the checkpoints of Shaktoolik, Elim, White Mountain and Safety. 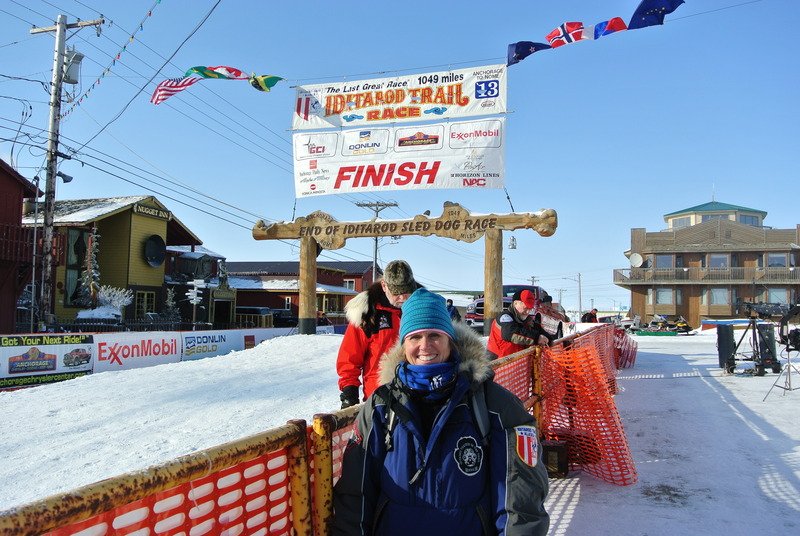 We followed the Iditarod Trail into Nome where tonight a few teams will battle for the title of Iditarod Champion. Once in Nome, I made my way to the Methodist Church where Deb helped me find a spot for my sleeping bag and travel bag. This will be my home away from home for the next few days. After a bowl of homemade chicken soup, I walked to Iditarod Headquarters. On Front Street, under the Burled Arch, workers are preparing for the finish early – very early – Wednesday morning. I will be there to watch the winner come in. Stay tuned – it’s going to be exciting!